Recognised as a UNESCO World Heritage Site since 1982. The Sacred City of Anuradhapura is a well known destination on the cultural trail of Sri Lanka. It is located some 205 kms to the north east of Colombo. In the North Central Province and has a population of about 51,000 people. Anuradhapura is one of the oldest capitals of Sri Lanka. In its time, was one of the major civilizations of Asia. It was founded by King Pandukabhaya in 377 BC. 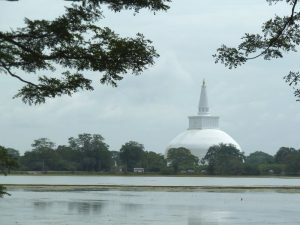 Nowadays the new Anuradhapura has a population of 50,600 people. With the development of Buddhism took a major role in Anuradhapura. Which influenced the laws, methods of governance and its surrounding culture. This then permeated throughout the island. Today the island is considered to be 80% Buddhist. With strong influences on public holidays and laws governing for example the consumption of alcohol. The grounds of the Sacred City are to be found in the west of the city. It is flanked by a diagonal road called the Main Street to the east which houses Anuradhapura Town. Developments for housing grew as the population increased and today you will hear references such as Stage I and Stage II. Most of the surrounding area is agricultural. Which is an important development of the area revolved around irrigation with canals, water ways, and large lakes. Known locally as Tanks. It is the development of the water resources that have enabled this area to be self sufficient and convert what was previously considered a dry area. 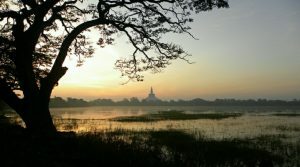 Places to visit include the Ruwanwelisaya Dagoba, Isurumuniya Temple, Jethawanaramaya Stupa and the Dagoba of Thuparama. Also don’t miss a visit to the Sacred Bodhi Tree. It is the oldest historically recorded tree in the world. Having been guarded for over 2000 years. It plays an important part in the Buddhist culture. Tip: Whilst you can get around by tuktuk. The area of the ruins is so large. You may be better off hiring a bicycle instead. 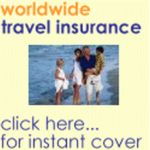 Giving you the freedom to search and stay for however long you wish at each site. You can reach Anuradhapura by intercity train from Colombo in 3 1/2 hours. 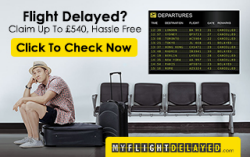 Or why not take a transfer from either the airport or from Colombo? Use the search boxes at the bottom for a quote.